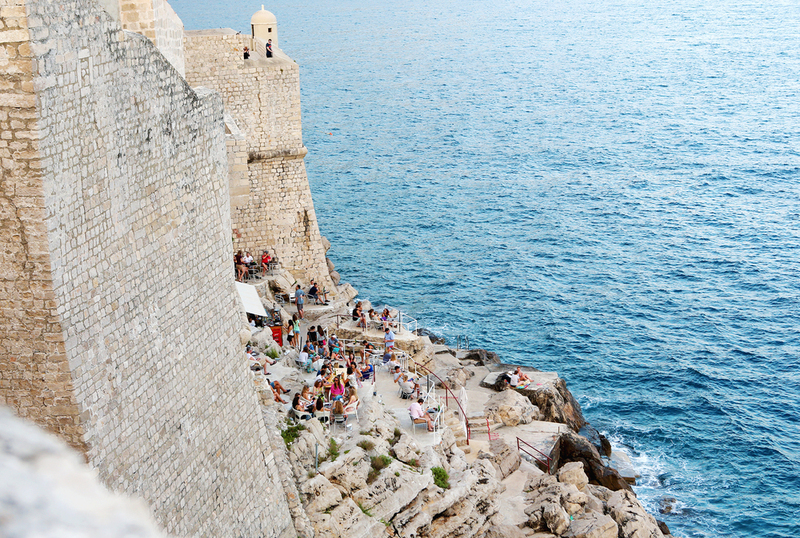 There are few chefs who tell a story without speaking, who can transport diners to a far away place without ever stepping on an airplane, and who can make diners feel at home and comfortable without taking off their shoes. Chef Hiro Urasawa is one of those chefs. And he does it all with a wide smile. Perched on the second level of the luxurious Two Rodeo shopping center, Urasawa sits above some of the most famous designers in the world: Fendi, Cartier, Tiffany, Prada, Cerruti and Versace to name a few. 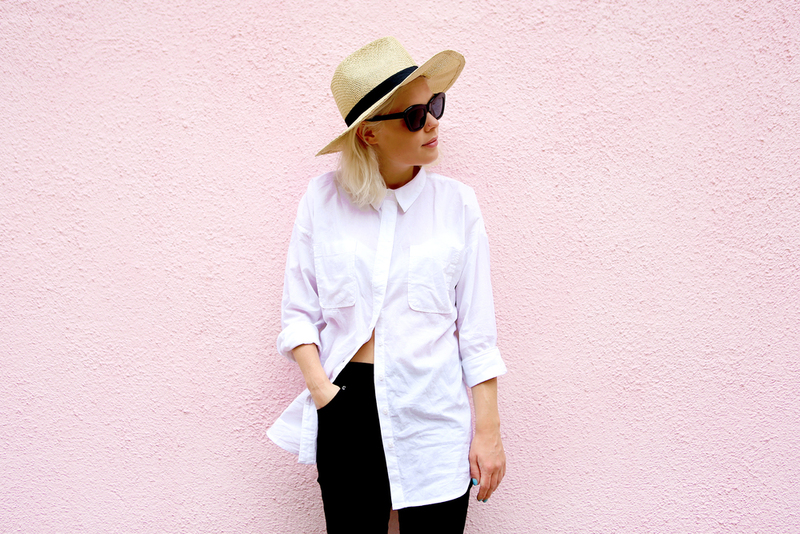 But unlike the downstairs world of fashion and style, upstairs, flavor rules. But it's not like the outside world is hidden; in fact, sunlight pours in through the large windows overlooking the most famous shopping street in the United States. Rather, the simplicity of the space combined with Chef Urasawa's humility, sense of humor, and genuine good nature encourage pretense and entitlement to be left downstairs. Without a doubt, the combination of Chef Urasawa's personality, skill, and selection of ingredients made this my best sushi meal in the United States. Shortly after being seated Chef Urasawa introduced himself and asked Aaron and me for our names. While his soft-spoken sister Yoshi was taking our drink order he jotted them down on a piece of paper so he could address us each personally, an endearing gesture that would we certainly wouldn't have seen at Masa most other sushi restaurants. He asked us if we had dietary restrictions or if there were fish we particularly didn't like to which we happily explained: we eat everything. No; everything. A few minutes later we got started with live Hokkaido botan ebi (spot prawn) with yuzu zest, shiso, and shiso flower atop a small bed of sweet daikon radish. While the placement of the small decorative flowers atop this dish may seem random, don't be fooled -- each petal was placed by Chef Urasawa with exacting precision. This was a very sweet dish, particularly because of the fresh shrimp and the shiso. The refreshing watery crunch of the daikon radish combined with the fresh shrimp's firm chew made for a nice range of textures. I would have enjoyed a slight pinch of salt to lift the flavors of each ingredient a bit, but that would have masked the incredible natural sweetness of the shrimp. We weren't sure whether we should consider this dish an amuse bouche, or the first of the thirty three "courses" that were to come. But I guess that's all a matter of who is counting. While finishing the shrimp, Aaron and I began to hear small rhythmic crunches, like someone was jumping on a pile of leaves. 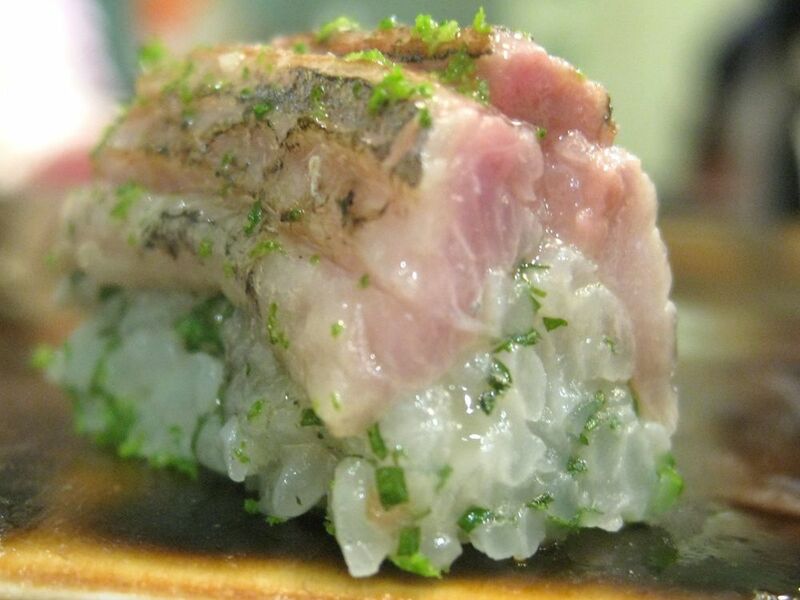 In fact, Chef Urasawa was crunching the bones of a hamo, or king eel, a creature notorious for its abundance of tiny bones that, if improperly cut, can make the fish inedible. The eel was deep fried, marinated in a sweet and sour sauce, garnished with minced shiso and grated carrot, and served cold. The texture was meaty and firm, similar to a thick cut of turbot. The flavor was clean and refreshing; the dish lacked salting of any kind. The next course exemplified Chef Urasawa's modesty and devotion to seasonality: a single wedge of misu-nasu, or water eggplant, with what he called "a very special soy sauce." Sometimes a perfect vegetable needs neither cooking nor garnish. What an interesting texture this eggplant had: slightly more crunchy than a typical purple eggplant yet not at all starchy. We ate this with our hands which allowed us to feel the smooth, but not slimy, skin. A quick dip into the delicious soy sauce added just the right amount of salt, which worked to balance out the previous two sweeter dishes. I was tempted to ask for some more of this; but unsure of the quantity of food to come, I savored the moment and awaited what was to come. If heaven came in a bowl, it would likely be the course that came next: a warm edamame custard with chilled Santa Barbara uni and live Botan ebi, topped with a sea of sweet ikura and garnished with miniature chives and gold leaf. 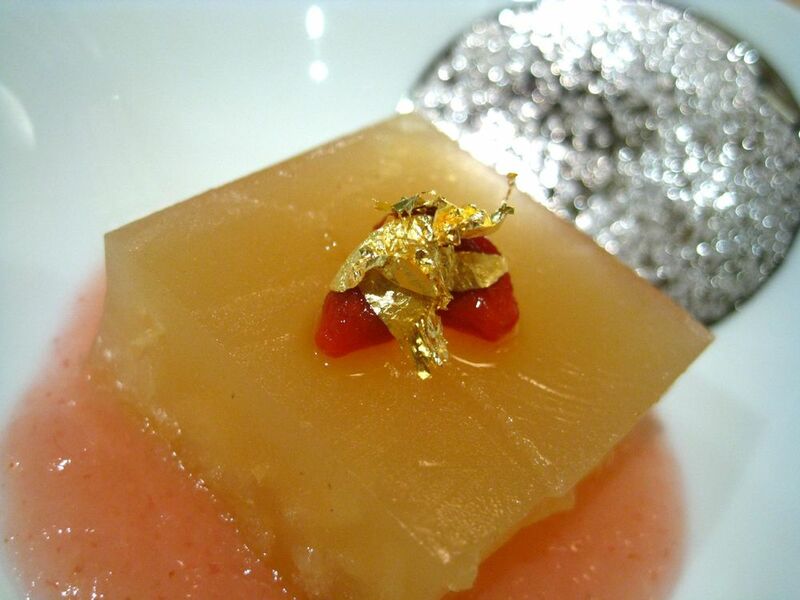 Chef Urasawa insisted the gold leaf was good for the stomach, as well as visually beautiful. After the first bite Aaron and I began to laugh. This was the freshest salmon roe we had ever had: where was the salt?! Each bite was a burst of sweet nectar that made eating the sea urchin and shrimp not only incredibly flavorful, but fun! 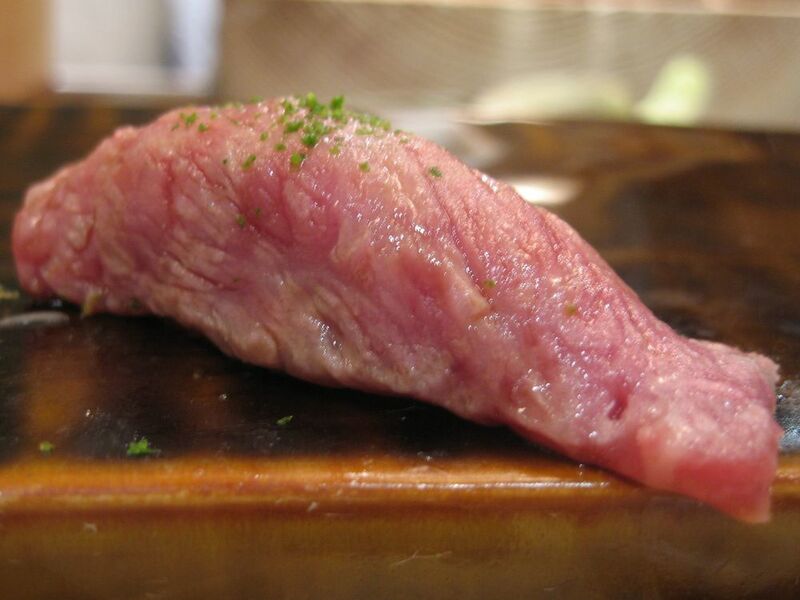 Urasawa explained that he marinates the roe himself. 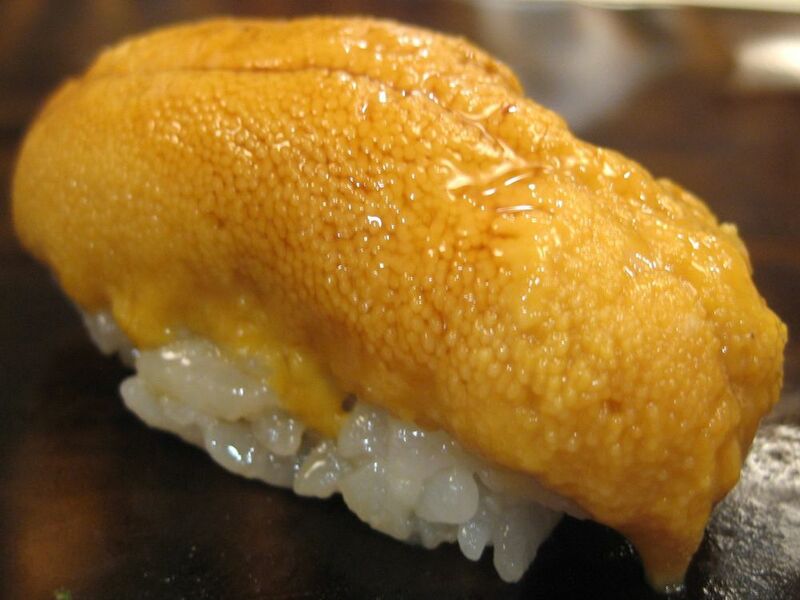 Not sure how he achieves this magical texture; it was as if the ikura would burst at the slighest pressure of the tongue ... the "shell" was almost non-existent, like a bubble about to burst in air. The crunchy chives added textural contrast to the smooth custard. Basically, this dish had everything: sweet and salty, warm and cold, crunchy and smooth. This was dish I will likely continue to taste for a long time. I never thought I could enjoy bouquets as gifts; but I was proven wrong. Sashimi bouquets from Urasawa are welcome anytime. Chef Urasawa served us otoro (fatty tuna) from Boston, kanpachi (yellowtail) from Toyama, and tai (red snapper) from Kyushu. Slices of these three fish sat among a lovingly prepared arrangement of fresh flowers, assorted seaweeds and freshly grated wasabi. This was all placed upon a hand-carved solid block of ice that Chef Urasawa explains he carves himself every morning. Both functional and beautiful, the block of ice resembled a rotating star. The white frosting around the ice made it look like origami from afar yet the temperature told otherwise. Butter-soft tuna was the first bite; the fat gently melted as it warmed in my mouth. The red snapper was surprisingly light. But the highlight was undoubtably the kanpachi, whose texture was in between crunchy and smooth, Aaron put down his chopsticks for a moment (a rare occurrence) and exclaimed "Oh god" -- a sure sign of enjoyment. Chef Urasawa's dobin mushi came next, a warm therapeutic soup of matsutake mushroom, botan ebi, uni, tai, and ginko nut to contrast the cold sashimi we'd just eaten. This was served in a clay tea kettle with a cup so that all the ingredients, particularly the broth, could be enjoyed a bit at a time. Aaron sat back and waited for me to be the idiot to burn my tongue; this was hot. I was very happy with my bite of the red snapper which somehow neither fell apart nor became firm after sitting in this broth. The ebi's firmness increased and became similar to a miniature lobster tail. There was also a wedge of yuzu bathing in the broth to add a citrus element to the flavor... a really nice addition to brighten things up. Two cups of the broth was enough for me; but a glance at Aaron's kettle revealed a light blue pattern at the bottom, only visible when empty. I wish there had been some more gingko nuts... after marinating in the teapot they became chewy, aromatic and delicious. 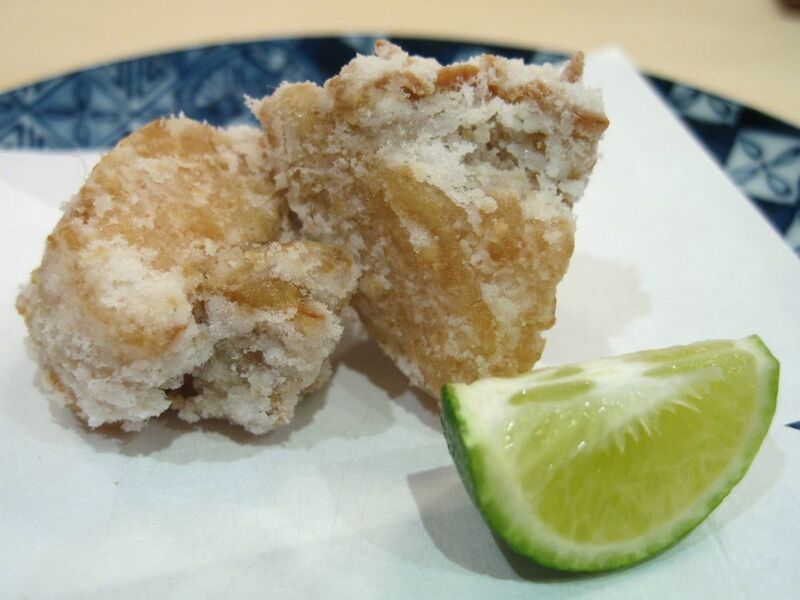 Next came two small slices of lightly battered tender northern California awabi (abalone). Urasawa explained that he boils the abalone in sake and soy sauce for over six hours before deep frying them -- this is how he gets the texture so succulent. The abalone was served on tempura paper with a small wedge of yuzu to cut through the oily mouthfeel. I tried to keep this in my mouth for as long as possible, though the amazing tenderness wasn't making that easy. It was absolutely delicious -- salt, citrus, brine all at the same time -- and I didn't want it to end. I tried to distract Aaron by telling him that his idol favorite chef David Kinch had just walked in; but he wisely ate his abalone before looking. Maybe next time. Our waitress placed two hot stones in front of us with several cuts of grade A-5 Kobe beef. There was no pedantic instruction on how to use the stone, or a lesson on "how things are done here;" rather, Chef Urasawa's sister quietly and lovingly cooked each slice for us, lifting it from the hot stuff at just the right time. The room filled with the mouthwatering aroma of smoking fat. The stone was hot enough that it locked in the moisture of the meat while nicely searing the edges. A bite of this meat revealed its true secret: tender enough to you know it is meat yet subtle, melting and juicy enough that you know it has to be Kobe. 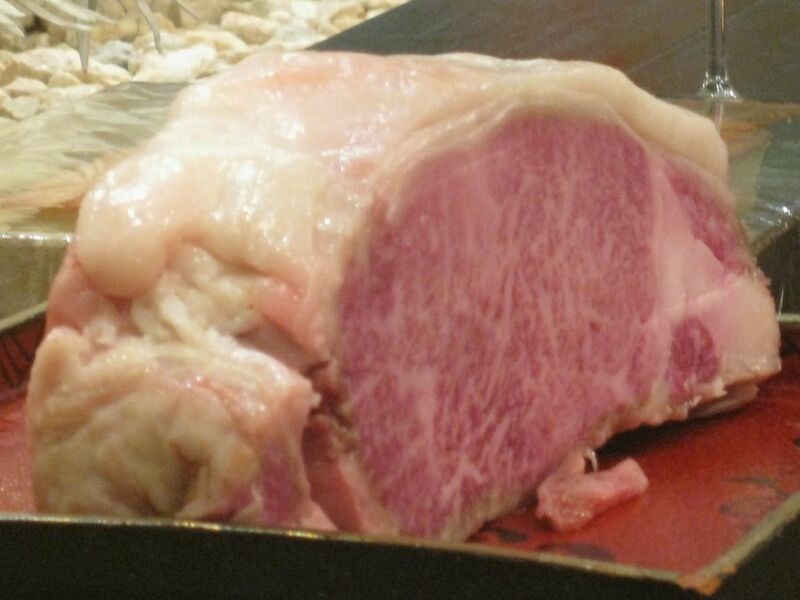 When I asked Chef Urasawa what makes this Kobe beef so tender compared to others, he explained that, "nice people make good beef." A statement that not only reflects his contageous positive outlook on cooking but his desire to follow the ingredients from his kitchen all the way back to the source: the rancher is a close friend of his. 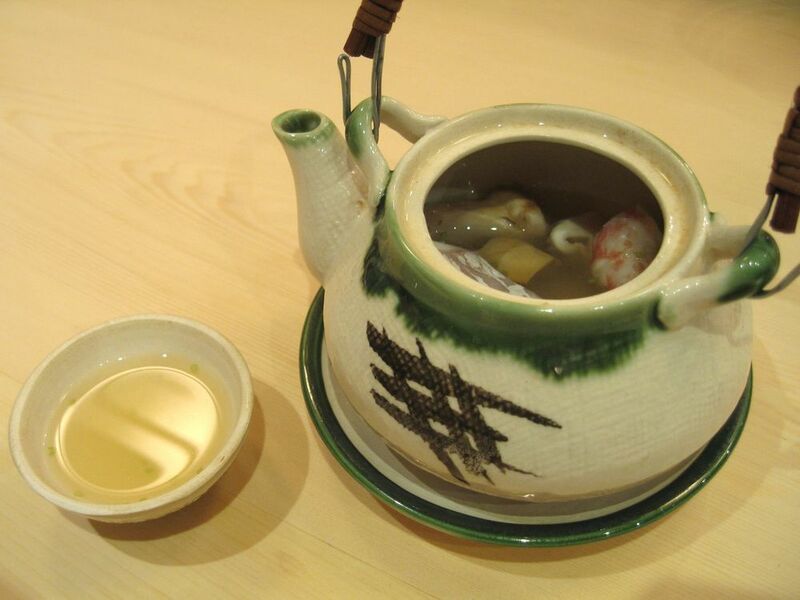 Next came a miniature shabu-shabu of ebi (shrimp), hamo (king eel), Kobe beef, foie gras, and hotate gai (scallop). The foie gras was dropped into the hot broth first since it takes the longest to cook through. 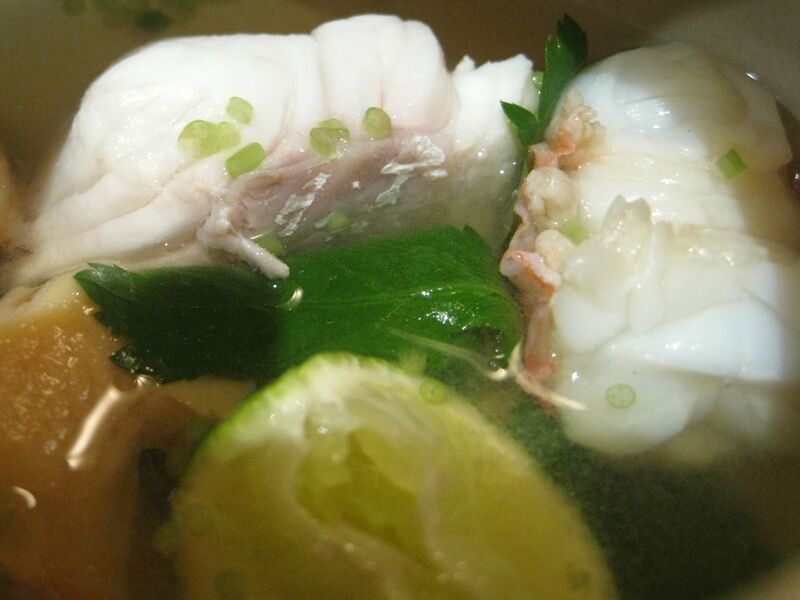 It's also the fattiest and the deposited an amazing richness that enhanced the broth. After the foie went in, the hamo, scallop, shrimp, and fatty beef each took turns jumping into the pool. When ready, each slice of meat and fish was removed from the boiling broth held in a thick paper bowl and placed in a small bath of vinegar, soy sauce ,and scallion to cool. I found the scallop a little bland in flavor but with an interesting texture. The hamo became surprisingly firm when cooked this way, and its rough edges became more pronounced. The foie gras was smooth and silky. The beef was sliced fairly thinly in order to cook quickly, and as such it was not quite so juicy as the previous course. But by now little bubbles of unbelievably flavorful fat popped up around the surface of the broth, and Aaron and I were given spoons to finish every last drop of this liquid gold that had now collected flavors of foie gras, kobe beef, scallop, eel, and shrimp. To accompany the sushi I ordered a half bottle of Chassagne-Montrachet 1er Cru from Abbaye de Morgeot. This slightly acidic and bright wine left a slight trace of vaseline on the tongue. The wine was light enough so as not to compete against the subtle flavors of sushi to come. A young girl to our right asked Chef Urasawa if it would be possible to leave out the wasabi (Aaron learned his lesson last time). He responded that he would be happy to leave out the wasabi; but suggested that she try it first since it was freshly grated and not so poignant as powdered substitutes. She tasted it and chose to leave it on. A great chef, and a great role model to future generations, this guy. Our assortiment of sushi emphasized seasonal fish. In order we had: otoro, kanpachi, grilled otoro, aji, tai, maguro, shima aji, ika, shitake mushroom, kohada, uni, mirugai, abalone from Chiba prefecture, kuruma ebi, grilled pike mackerel from Hokkaido, negitoro, unagi, and tamago. Despite being eighteen courses, the smaller portioning of rice (180 grains/piece, he said) made it all incredibly enjoyable. The kanpachi made another appearance, thankfully, with its chewy crunch -- perhaps this unique, but welcome, texture is a factor of the season. I have only been to two other places in my life that serve ika (squid) like this: Kozue at the Park Hyatt Hotel in Tokyo, and Masa in New York. I'm not sure what makes this consistency so chewy; but it is absolutely my favorite sea creature to eat raw. It could be its ice cold temperature or the knife scores realized by expert chefs such as Chef Urasawa. Whatever it is, it is unlike any other squid I have tasted outside of those two locations. While we were finishing up the giant clam we saw Chef Urasawa's brother-in-law beginning to prepare the live kuruma ebi (tiger prawn). And by prepare, I mean behead. I became aware that those shrimp needed to be on my plate ASAP before they die a moment of respect and awareness was in order at this stark reminder of the circle of life. They were lightly brushed with a sauce made from the shrimp brains -- no part of the creature was wasted. And every part was utterly delicious. 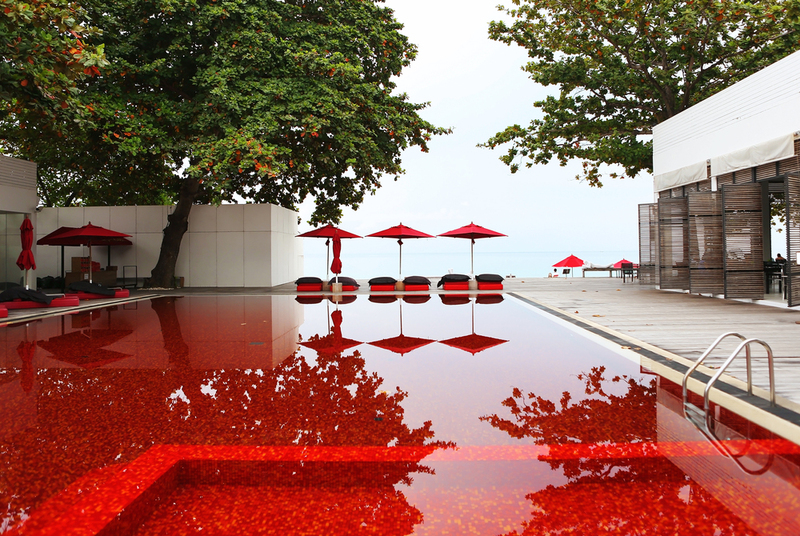 The giant collection of Santa Barbara sea urchin roe firmly overflowed the edge of the rice. Our friend dining next to us from Refined Palate summed it up nicely: "can you just inject the uni into my veins?" With only one bite, this was a tease. An utterly delicious tease. The tamago was also particularly interesting with a subtle sweetness and a texture more like pound cake than egg. 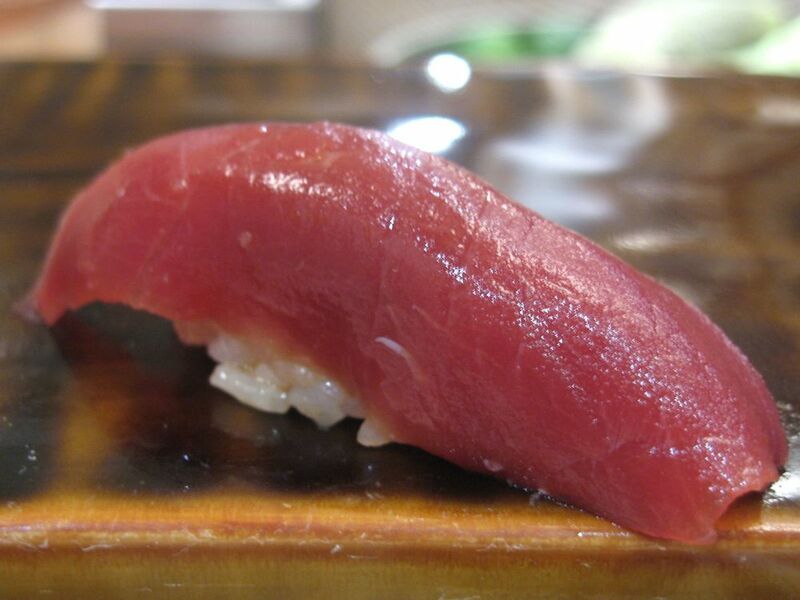 "The most important test of a sushi chef", Chef Urasawa told us, is the tamago. If that's the case, he passed with flying colors. Dessert was to follow the sushi, an asian pear gelée with umeboshi (pickled plum) and goji berries. The gelée had a smooth but mildly grainy texture on the tongue that immediately gave it away as pear. This dish was sweet by Japanese standards, but it wasn't excessive -- the sour umeboshi prevented the dish from becoming cloying. The gelée melted in my mouth rather than breaking apart. The mix of sweet and sour was well-balanced, making this simple dessert engaging and pleasurable. My favorite dessert of the evening came next, black sesame ice cream with red bean paste. It's hard to describe this dessert as ice cream since the texture was so creamy it almost didn't want to melt. It was more like an thick, cold, black sesame butter that was so nutty, the fragrance of sesame could be detected from several feet away. A small dollop of red bean paste rested on top adding a coarse contrast to the smooth ice cream. This dish was served with warm matcha green tea, whose subtle bitterness synched in harmony with the sesame's sweetness. This was one of the finest drink-dessert pairings I had ever had. This was so good, in fact, that it pushed me over the decorum edge: I asked for another round. Unfortunately they had run out, but we were very kindly given some assorted wedges of mochi ice cream and very hot toasted houji tea, instead. The sad realization had come: this was the end of the meal. Chef Urasawa prepared a meal that can easily stand against some of the finest French and New American dining establishments in the country. However it was only afterwards when I realized just how ridiculous that really is. Chef Urasawa does not have a huge kitchen brigade -- this is a one man show. And to prepare such unique and delicious meals (not to mention the worldwide acclaim he receives) without letting it get to his head is truly a special quality of the highest regard. Chef Urasawa responded with a gleaming smile to all of our questions no matter how trite. He encouraged the use of cameras and even held up some fish for us. He somehow got complete strangers talking to each other like close friends after just a few courses. I have never felt so comfortable in a place with this quality of food before. Comparing Urasawa to Masa is not such an easy task. Objectively, if all external variables are removed, the quality of food is nearly identical. 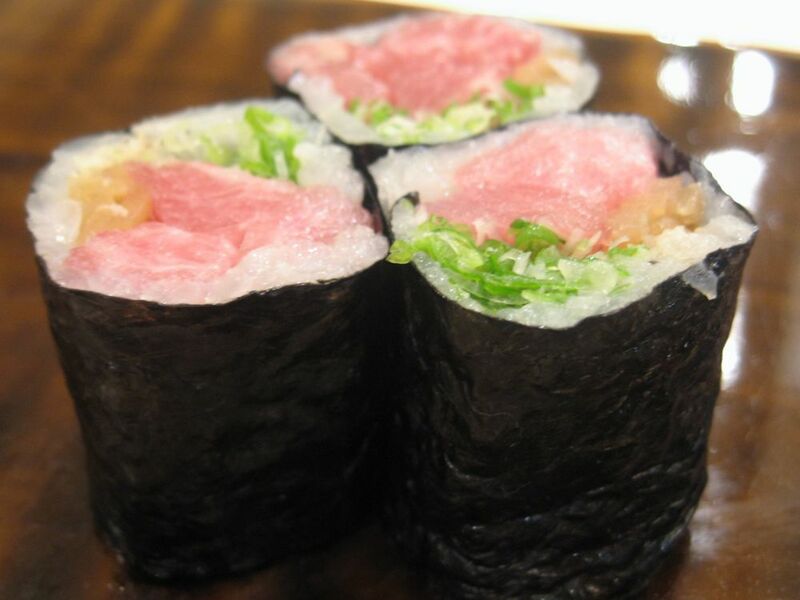 Both Masa and Urasawa serve the freshest most flavorful sushi in the country. However, when considering warmth, comfort, presentation, and enjoyment of the experience of a whole, Urasawa is the clear winner. It was just so enjoyable to eat there. I anxiously await the next opportunity to return... like, tomorrow.